This website came about as a service for me, the creator and owner. I was running a lottery pool at work and just wanted something to make the management of it easier. I got tired of having to check the tickets visually for every draw. So, I created a database with tables to put the tickets into. Then I had a table to put the winning numbers into and I wrote the stored procedure to check the results. Crude, but effective. Over time, I found that I needed to be able to access the data from home AND at work. So, I created a little website for my own usage. I spruced it up a little and worked out some bugs. 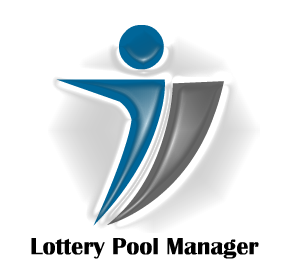 I showed it to a friend of mine and he thought it would be great to offer the same service to people who manage lottery pools. I went back to work on the site and made it more user friendly and put the security in place to handle multiple users. Over time, I've made quite a few enhancements that aren't readily apparent. Such as the ability to copy or clone selected tickets from one drawing to the next. I tend to make a bet slip and play the same numbers for a period of weeks. Being lazy, I like to copy the tickets from one drawing to the next so I don't make a mistake. I wouldn't want to think I won, when it was just a typo. That would be very depressing. So, the website is in pretty good condition. But, I have a very good friend who is going to be a business partner soon. We are going to re-write the entire website with a lot more and different features. We hope you follow us along to the next chapter. We're not sure if we will keep the same name or change it when the new site is up and running. Feel free to offer your suggestions and comments. We appreciate your feedback.